citrus reamer | Marina Cooks, Inc. I have one cooking class left at The Natural Gourmet, and then I’ll have time enough and room to breathe. And to write. 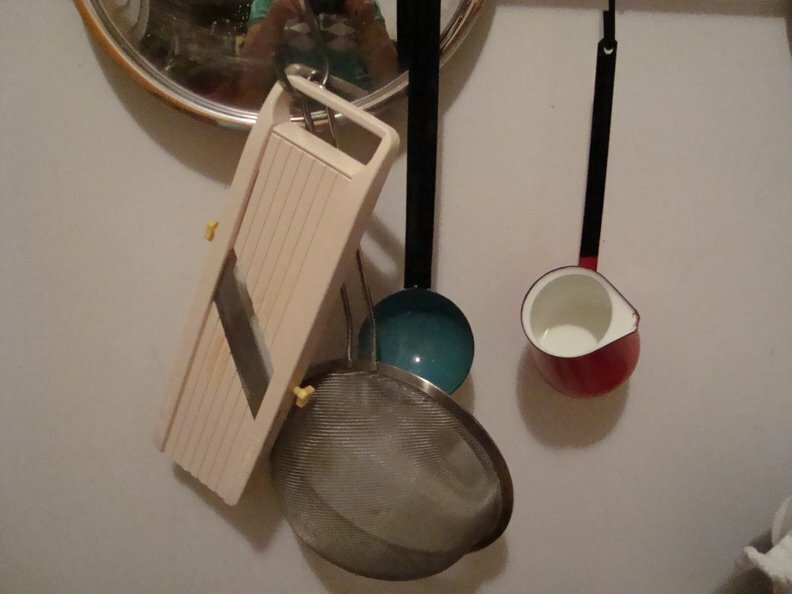 So this is just a quick post, extolling my favorite gadgets in the kitchen. I’m all for simplicity in the kitchen; I don’t, for example, need a pancake batter dispenser, an egg ring, or an individual egg poacher. But, there are little tools in the kitchen that just make life so much easier. Here’s my list. 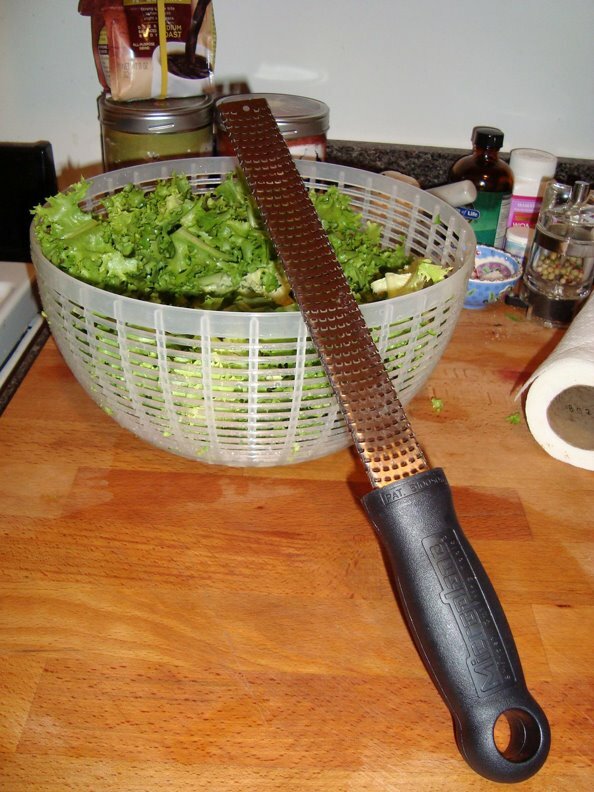 Microplane Grater. I use this enough to keep one in my knife roll and one in my kitchen. I use it for zesting citrus and grating ginger, garlic and nutmeg. It’s indispensable to me. Finger Bowls. 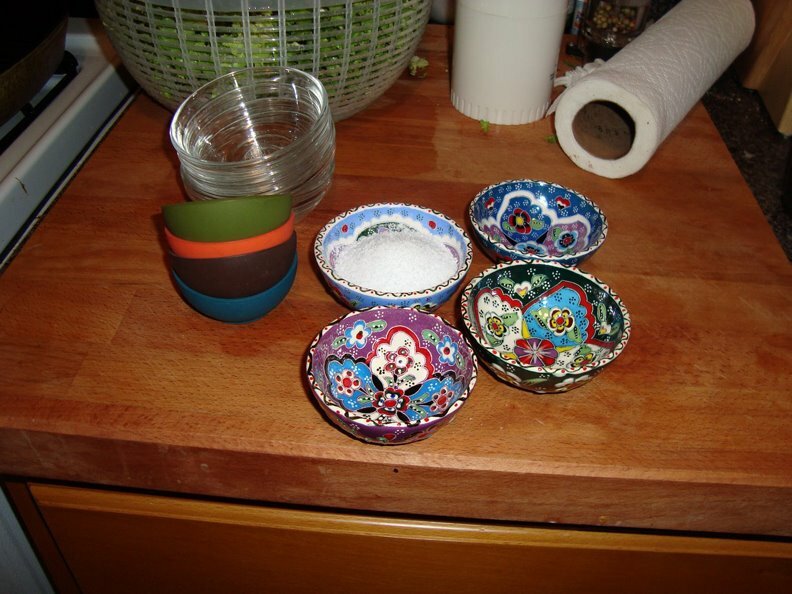 I bought a few ceramic finger bowls at the Grand Bazaar in Istanbul, and I have a set of Pyrex condiment bowls, and some colorful silicone ones from Crate & Barrel. I always keep one at hand that’s filled with kosher salt. Otherwise, I use them to set up my mise en place — my pre-measured seasonings, minced garlic, chopped onions. They’re adorable, and help keep (limited) counterspace organized and uncluttered.
. If you’ve ever tried juicing a stubborn lime by hand, you already know why this is so handy. Japanese Mandolin. This is my latest addition, and I don’t know what took me so long. The blade is exceedingly sharp, so you have to be extra careful when using it. 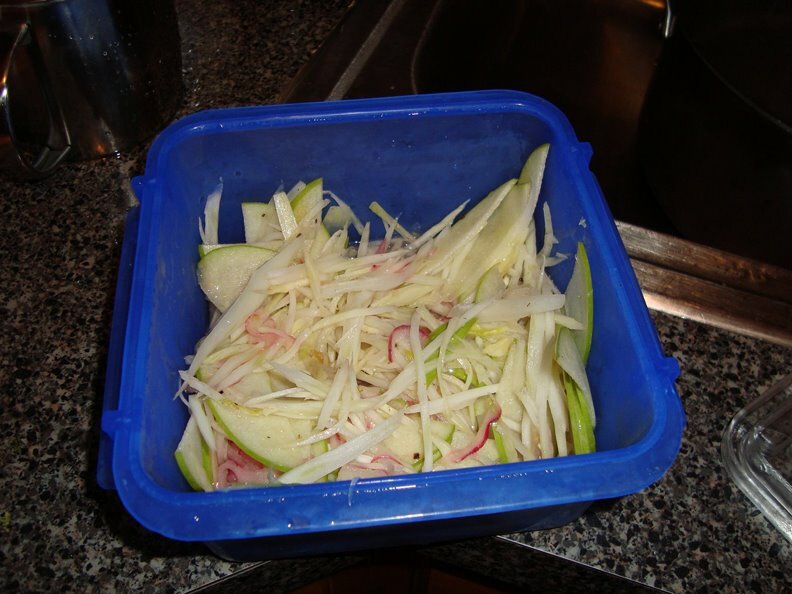 But, it’s totally worth the bodily harm — as you can see from my shredded cabbage and apple-fennel slaw. Plus, the packaging is just too charming. 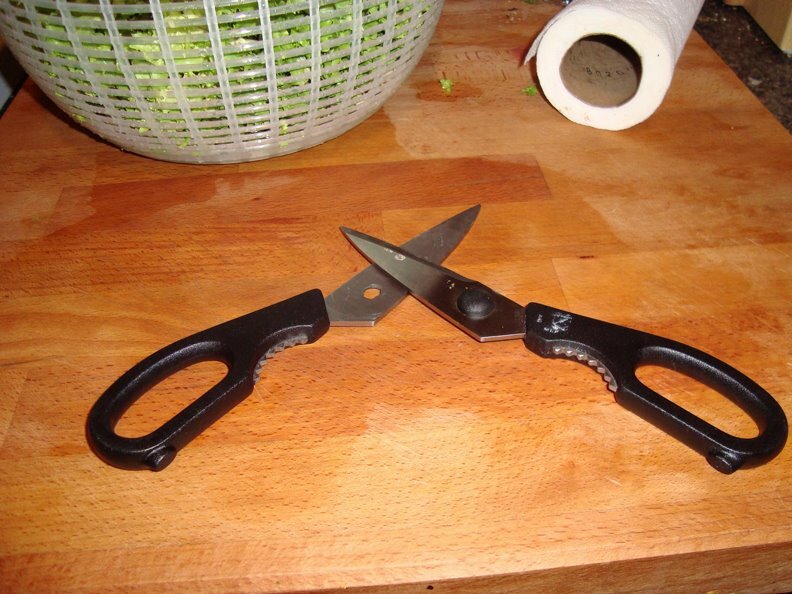 Pull Apart Kitchen Shears. I generally use kitchen shears for butterflying chickens and snipping herbs. They’re exceedingly helpful for either task. Discovering shears that come apart for easy washing was revolutionary. I have one pair in my knife roll and one in my kitchen drawer. 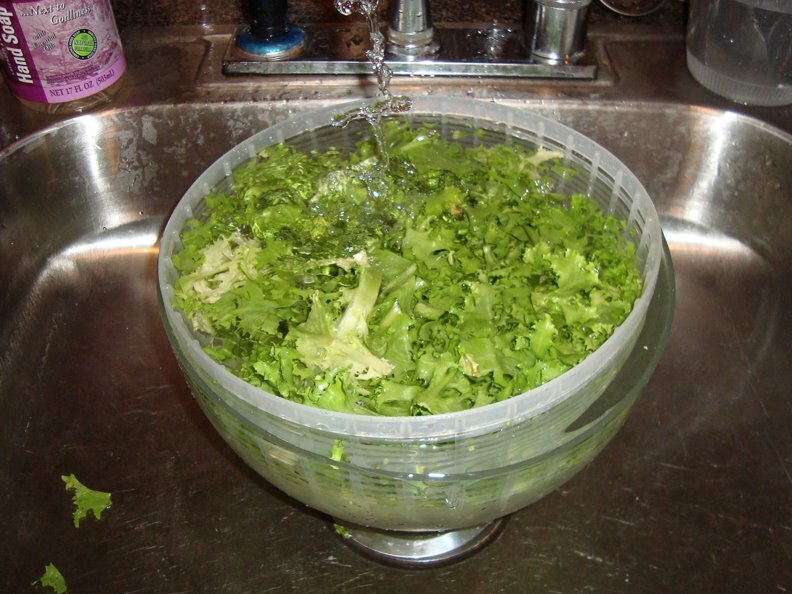 Salad Spinner. If you don’t have one yet, go get one. You don’t need to get a $30 one. I had an $8 spinner from Target until I moved in with a roommate who had a fancy OXO-brand spinner. It’s especially convenient for washing greens — in the spinner with the basket in. 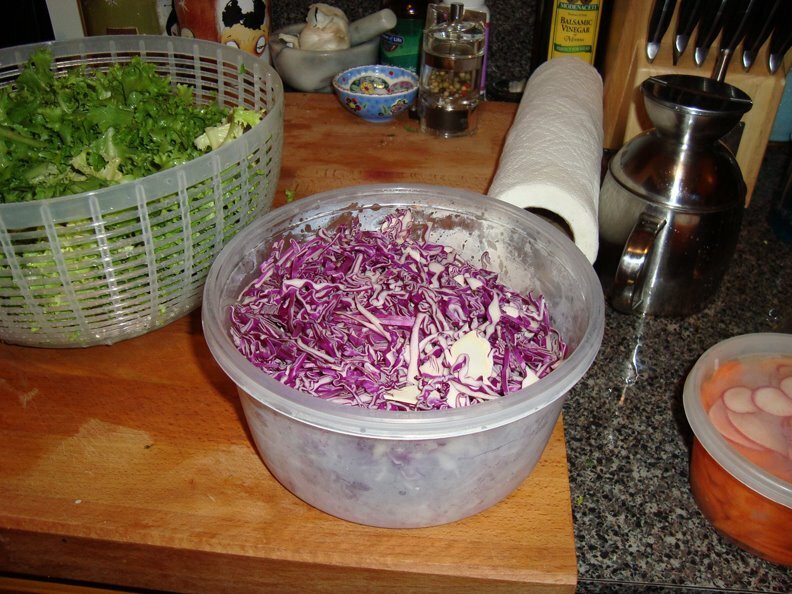 You fill the thing with water, agitate, pull out the basket (with the greens) and pour out the water. Especially great for triple washing curly greens like kale and chicory (pictured here). 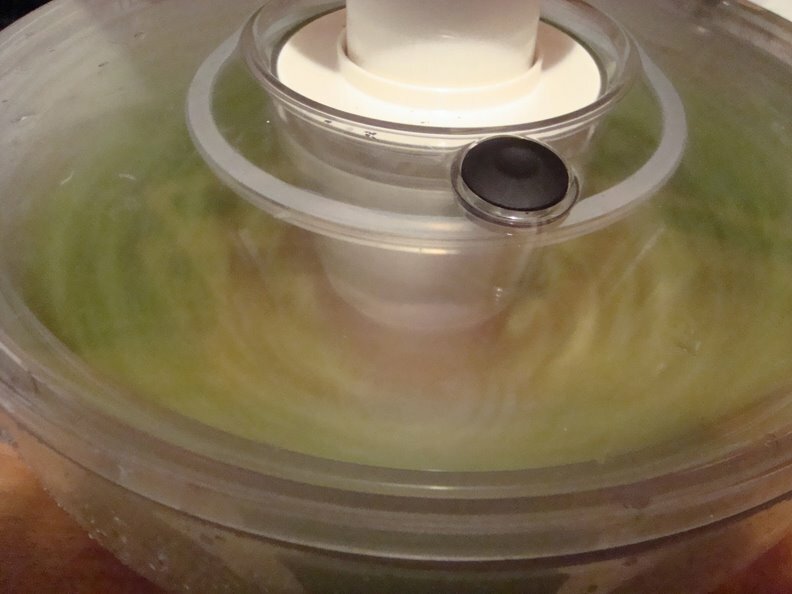 After emptying the bowl, replace the basket and spin away. 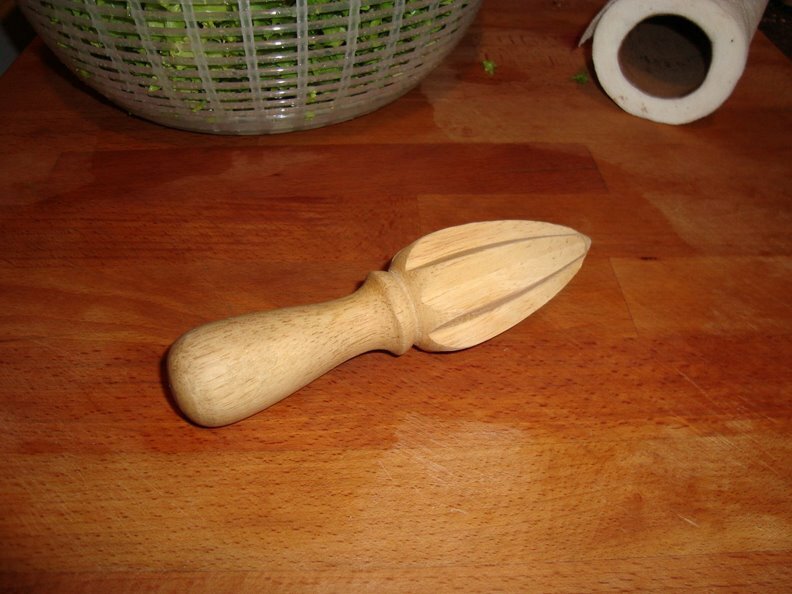 Swiss Peeler. This is just so much quicker, easier, sharper than your regular vegetable peeler. The one pictured here was actually purchased in Union Square from Joe Ades, the peeler guy himself, who passed away earlier this year. 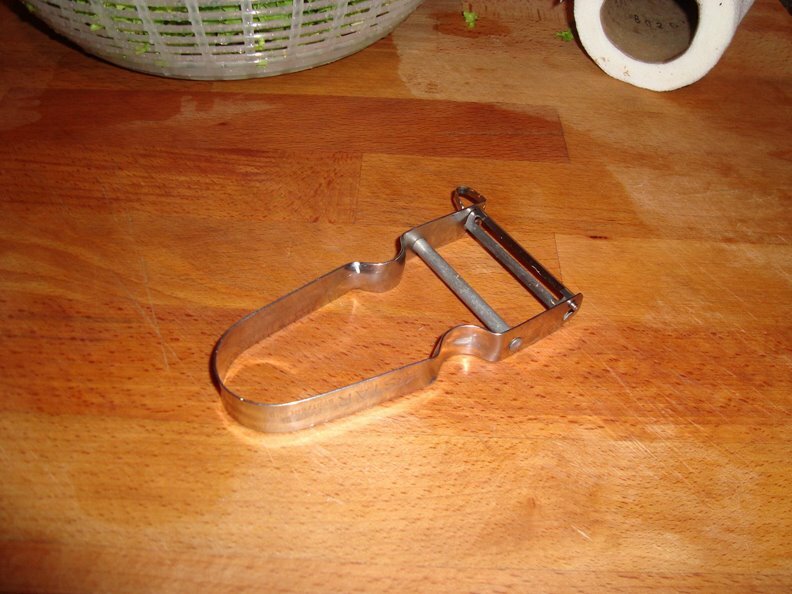 The peeler issued by my culinary school was the plastic Kuhn Rikon, also an excellent peeler (I have it in lime green). At one point I had three Swiss peelers. Plastic or steel, go get yourself one. 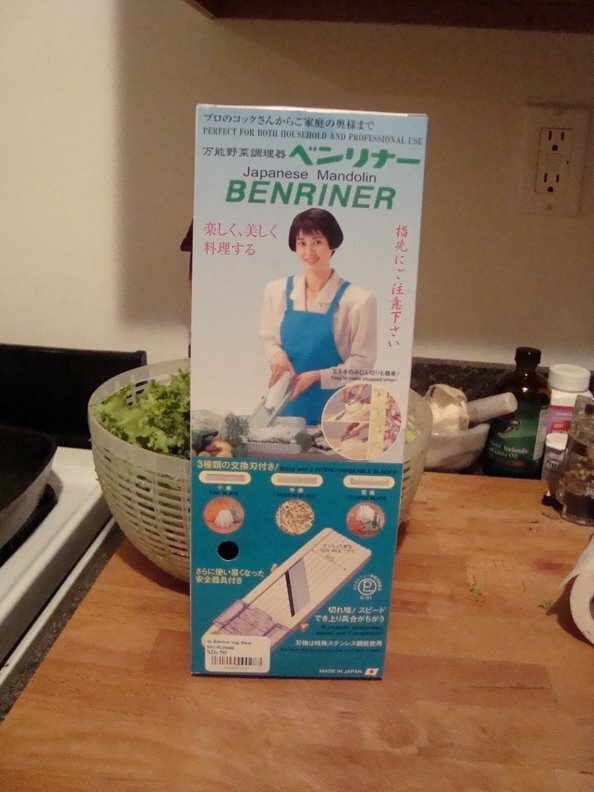 This entry was posted in Uncategorized and tagged citrus reamer, condiment cups, Favorites, kitchen shears, kitchen tools, mandolin, microplane, mise en place, salad spinner, Swiss peeler on June 2, 2009 by marinaberger.